Nokia needs to show why it still matters, and nostalgia is not the reason. Mobile World Congress has become predictably bland. What used to be the perfect platform to showcase new mobile technology has become a repeat telecast of everything that is already there. Yes, buzzwords have been used to death now and ‘Artificial Intelligence’, ‘Augmented Reality’, ‘Bezel-less’, and the infamous ‘Notch’ have been drilled into everyone’s minds. After four gruelling days of covering the world’s largest gathering for mobile phones, it became increasingly clear that smartphones have hit a plateau. Or companies are simply holding back on innovating. Not all companies though. Samsung did dazzle with the Galaxy S9 and the S9+ even though they seemed to be just an incremental upgrade rather than something groundbreaking. The dual aperture camera showcased on the Galaxy S9, S9+ isn’t anything new. The Chinese were already enjoying it through a Samsung Galaxy Flip phone launched last year. Sony’s claim to upscale content to 4K HDR turned out to be a marketing fad, while Vivo’s Apex phone is so far into the future, there’s no point talking about it. But there was at least some forward thinking from these OEMs. Even LG that is reportedly rethinking its entire mobile strategy went big on AI, that somewhat works. But largely absent from the innovation bandwagon is Nokia. 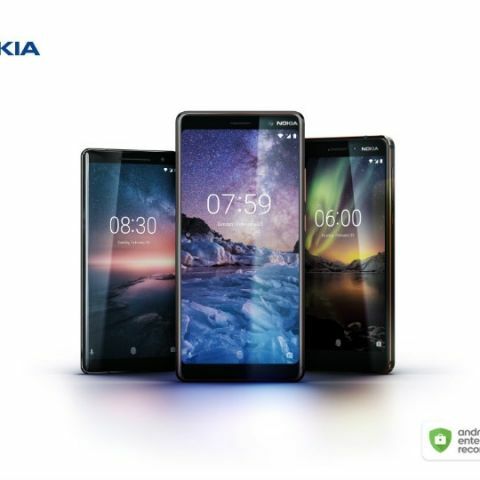 This was the second year of Nokia’s grand comeback, under the stewardship of HMD Global, and going by the looks of it, the company is still hung up on good ol’ nostalgia rather than innovating its way forward. 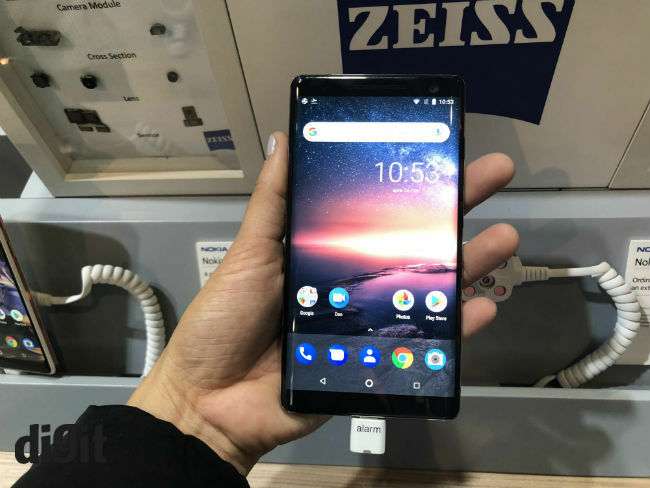 If last year’s lineup of Nokia phones were disappointing in terms of the hardware offered, this year reinforces that disappointment even more. There’s some silver lining with the more up-to-date Nokia 7 Plus, but with an 18:9 display, that’s just playing catch up. Nokia of the yore was known for pushing the boundaries. At a time when smartphones were simply dumb feature phones with internet connectivity, Nokia reshaped the landscape with the multimedia-centric N-series and music-centric Xpress Music. Those phones became ubiquitous with innovation and futuristic design. I still remember the Nokia 5310 Xpress Music which at its time looked the most badass among phones. With dedicated music keys alongside the display and a super slim profile, that was design innovation in full swing. 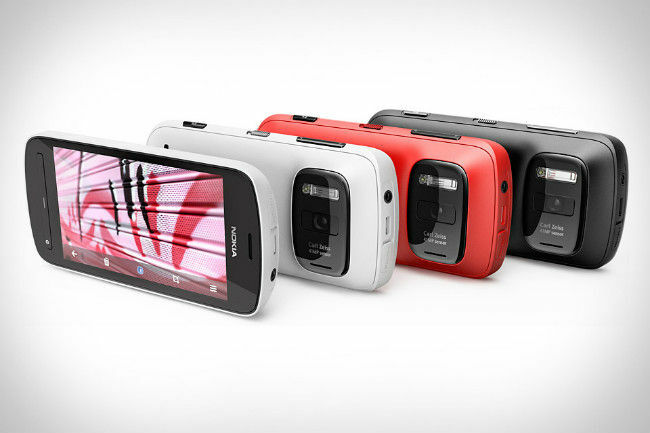 Or take the Nokia 808 Pureview for instance. The phone came with a whopping 41-megapixel Carl Zeiss camera with the largest sensor ever seen in a phone camera, so far. That was innovation. That was being at the bleeding edge of technology and then some. The current crop of Android-powered Nokia phones are but a shadow of its previous achievements. The only new thing the reincarnated brand managed to introduce to the world is ‘Bothie’, which is essentially photos taken simultaneously from the front and back camera to show ‘both sides of the story’. That shouldn’t be confused with innovation. It’s just generic marketing that almost all phone companies like to dabble in. The so-called flagship device Nokia unveiled this year is just a reimagination of the Nokia 8 last year. The Nokia 8 Sirocco is built out of a single piece of stainless steel with 3D Gorilla Glass on all sides. It’s still the same phone as last year with an upgraded dual camera stack at the back. To restore balance to the universe, Nokia also downgraded the front camera from 13-megapixel to a 5-megapixel sensor. Would you call it innovation? The Nokia 7 Plus too was received with applause when it launched in the Contemporary Museum of Modern Art in Barcelona. But all Nokia did was catch up with the rest of the competition with a 6-inch Full HD+ 18:9 display, an aluminum unibody and wideangle+telephoto dual cameras at the back. That was the highlight of mid-range phones last year and Nokia seems to be stuck in the past, quite literally. One of the highlights according to Nokia is the ‘new’ Pro Camera app that comes with all the new phones. But if you have been following the progress of smartphone technology, the Pro Camera app will be very familiar. It’s the very same app that used to be there in the Lumia phones. What’s laudable is a bunch of good decisions that HMD Global has made for the Nokia phones. First is of course the decision to not mess with the interface. 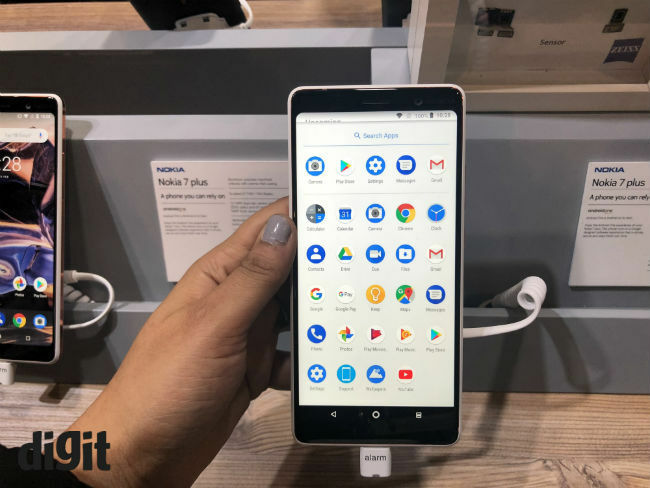 All Nokia phones run on pure, stock Android and from this year, all future Nokia phones will be powered by the Android One Program. Which means, updates will be handled by Google and will be pushed out in time. Yet another good decision is to make the phone feel solid in the hands. Build quality has been the company’s trademark and it’s good to see HMD Global holding up old values. All the new Nokia phones sport a metal body (except the entry-level Nokia 1 of course) and work as advertised. But what irks me is the nostalgia game that Nokia seems to be playing. It’s nice to listen to the company’s previous achievements and good to see old phones making a comeback with modern features. But that is essentially masking the lack of innovation in the new phones. The company is perhaps thinking that feeding old stories about how it used to rule the roost back then would help in selling the new phones. It should definitely be a part of the strategy, yes, but not the entire strategy. Nokia needs to show why it still matters, and nostalgia is not the reason. All said and done, Nokia isn’t the only one showing a lack of innovation. For many, the meaning of innovation is now to put a notch on top of the display (and boast about it) while for the rest is to insist that smartphones have now evolved into ‘intelligent phones’.